Sometimes we need a Blank Page Template to create landing pages on our website, and in Divi there is a page template available to create landing pages (i.e. without any footer and header), but in Extra theme there is no Blank Page Template. We have created a template file for you and you can simply download it and can use on your Extra Website. Now the template file is available to use in your theme. 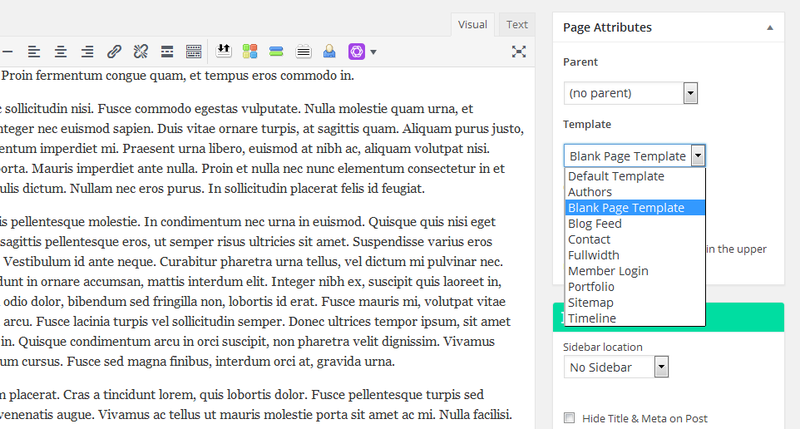 When you create a new page, you will see a dropdown in right side called “Template”. The new template has been added to that dropdown now “Blank Page Template”. And whenever you want to add a new landing page to your site, you will need to select “Blank Page Template” page template. Hope this helps you, and please let us know if there is anything else we can help with. You can also leave your comments below, we will be glad to hear from you. For more such free download please subscribe us. Many thanks for the blank page template! I hadn’t thought of this as a necessity until I read your post. All of a sudden I have several “needs” for it. After Extra Theme Update, the blank page Template was gone. Can I tell wordpress not to delete/overwrite this file when updating Extra? Could you do a Fullwidth version, just the Divi Blank Page Template? I am just migrating from Divi to Extra and I have several Landing Pages that I would like to migrate as they are. What I would like to achieve is a page like this one, but without header neither footer. @Abhishek. THANK YOU for your template. Was going to create one manually until I found your website! Thanks for this. Seems like Elegant Themes puts more energy and effort into DIVI than they do EXTRA. I love them both, but wish there was as much emphasis on this theme too. Do I have to upload the file in Zip format? I rarely post comments but the CSS code and page template have been so helpful that I would be an ingrate if I didn’t acknowledge the great work. Thank you very much.